If you need to keep your newly hatched chicks warm, the Brinsea EcoGlow 20 chick brooder is perfect. 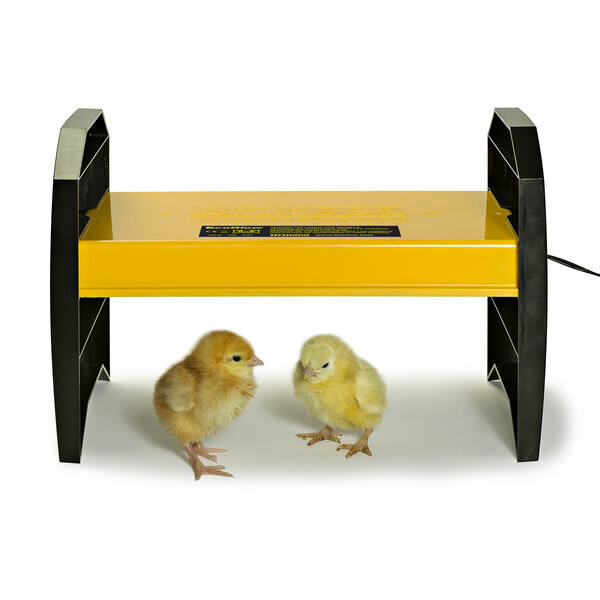 The chicks are kept warm with an economical low voltage 20W heater panel cutting your bills when compared to infra red lamps. There are 3 different height settings so you can keep various sizes of chick warm - up to 20 standard chicken chicks. The EcoGlow 20 comes with a mains adapter and has been designed to meet the IPX7 electrical safety standard. Please note that the EcoGlow 20 is for indoor use only and that the room in which it's placed must not fall below 10 degrees at any time.